Fairy Garden – Miniature Garden – Whats the diff? 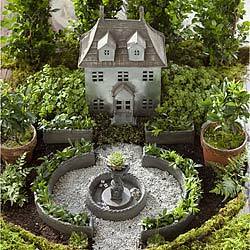 Do you have a fairy garden or a miniature garden? What’s the difference between the two? And does it matter? From my vast research and experience…(insert guffaw) I have acquired some opinions, although no real definitive answers, on these weighty questions. For what it’s worth – here are my thoughts. Miniature gardening is a combination of two hobbies really. Gardening and miniatures and there is a strong focus on both. The gardening part is important and great attention is given to the choice of vegetation in the miniature garden just as in any other garden. Like other miniaturists miniature gardeners are concerned with scale. The object to the exercise, apart from simple enjoyment, is to create a tableau in which the parts are realistically proportional to each other and of a constant proportion to the real world. The most common scale is 1:12 where 1 inch represents 1 foot in the life size version. The choice of plants is geared to seemingly be proportional as well. Structures and other miniatures are meant to mimic real life objects. Fairy gardening on the other hand does seem to wander from scale in all directions. Fairies not being real ( sorry believers) , no one really knows what size a fairy is and so choosing a scale is not so important. 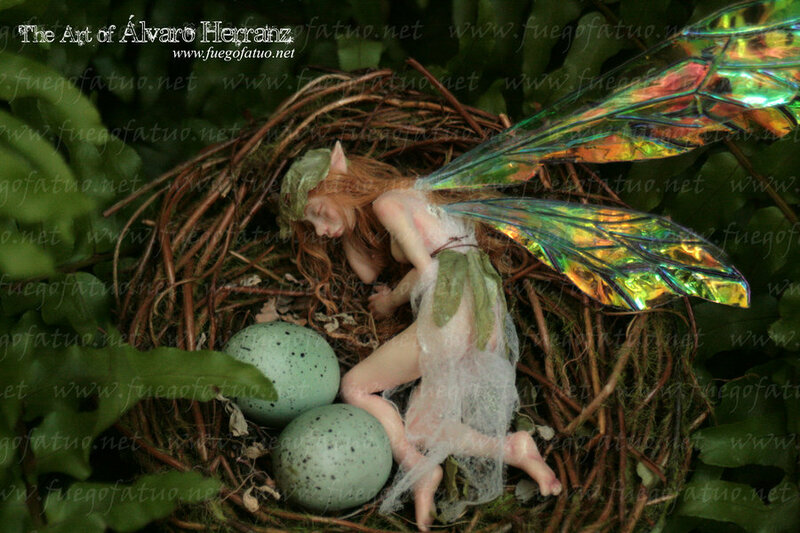 Fairies are often depicted as using whatever is on hand to suit their purpose, making a bed of a birds nest or a home in a purse. But fairies inhabit a world with other fantastical beings who have a scale of their own and fairies – well, they pilfer indiscriminately from all! Plant choices with fairy scenes range from none at all or artificial plants to the same kind of attention given to these matters as seen with miniature gardeners. Realism is almost always completely abandoned with fantasy structures and companions as real as the fairies themselves in abundance. It’s in this area that fairy gardeners can enjoy the wild creativity allowed by their non-chalance. Both fairy gardening and miniature gardening are a delight to those who enthuse over them – so in the end- does it all matter? Possibly yes – to miniature gardeners- and probably not at all to fairy gardeners. 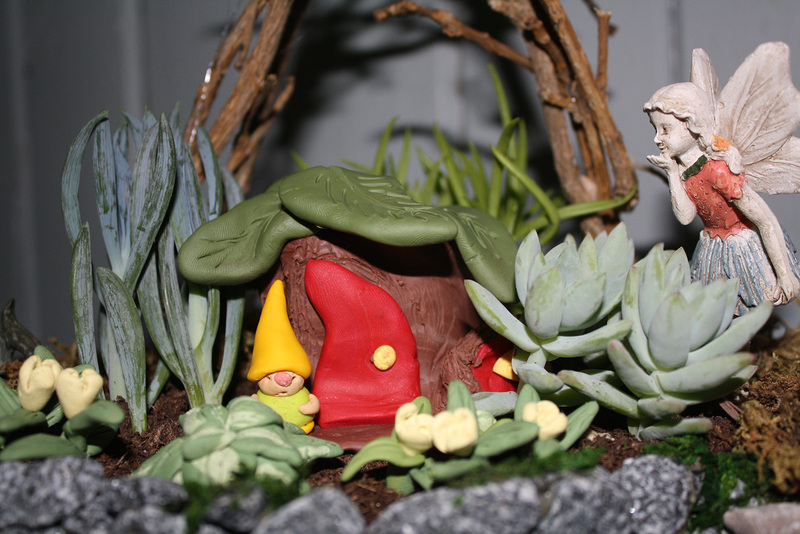 This entry was posted in Reflections and tagged Fairies, Fairy, fairy garden, fairy gardening, fairy gardens, Garden, miniature, miniature gardening, miniature gardens by Marthe Hook. Bookmark the permalink.